Outrageous bud structure, pasted with crystals and blue indica tastes that are almost genetically impossible. 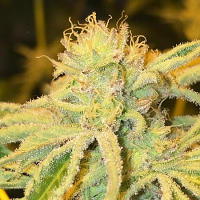 Bud Bud Bling Tingz Feminized Cannabis Seeds by Dr Krippling Seeds: Outrageous bud structure, pasted with crystals and blue indica tastes that are almost genetically impossible. 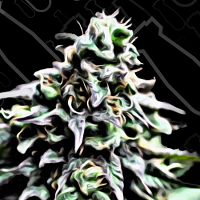 Crossing our bestest Delhi Friend with our old school Blueberry, this 'easy to grow' Indica Dominant strain should finish in the 7th to 8th week of flowering, but a slight genetic diversification will cause some plants to yellow off and finish within the 6th to 7th week of flowering. Nothing to worry about though, everyone will be doffing their proverbial caps at you for choosing to go Blue Delhi Style.